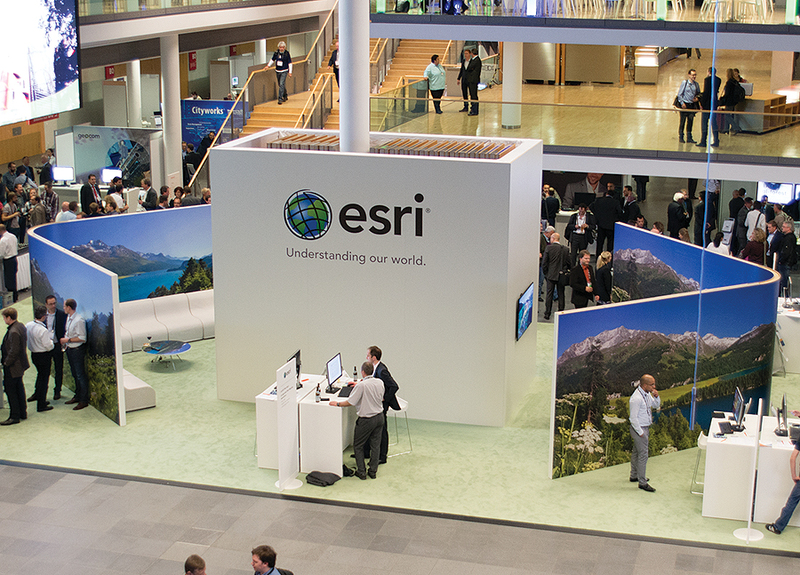 October to November 2013 was a busy event season abroad for Esri. Three major regional user conferences (UC) drew more than 3,100 software users, partners, and exhibitors on three continents for several days of ArcGIS software-focused inspiration, training, networking, fun, and a chance to see the best minds in the field show off and explore state-of-the-art software and gadgetry. More than 600 attendees from 19 countries across Latin America took part October 16–18 in the Esri Latin America User Conference (LAUC), making this the most important GIS event in the region, according to Renzo Vidalón, marketing manager for TELEMATICA, S.A., Esri's official distributor in Peru. Esri and TELEMATICA, S.A., experts presented demonstrations of the latest Esri technology and ArcGIS as a platform, followed by the Latin America Special Achievement in GIS Awards. Cited for making good use of GIS technology, award recipients included Dirección General de Control de Tránsito Aéreo (Argentina), Aguas Andinas (Chile), Servicio Geológico Colombiano (Colombia), Ministerio de Hacienda (Costa Rica), Instituto Geográfico y Catastro Nacional (El Salvador), Instituto Geológico Minero y Metalúrgico (Peru), and Petróleos de Venezuela (Venezuela). Attendees visiting the GIS Solutions EXPO explored booths that displayed products and services sponsored by members of the Esri Partner Network. During the second and third day, LAUC offered approximately 106 concurrent seminar and technical workshop sessions. Said Vidalón: "Attendees of the 2013 Latin America User Conference met, collaborated, joined a geospatial community, and networked with GIS users and Esri staff from all over the region. They also learned how the ArcGIS platform can facilitate the use of GIS across their departments, saving both time and money." 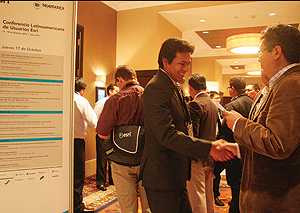 The 2014 Esri LAUC, hosted by Esri official distributor Imagem, will be held September 25–26 in São Paulo, Brazil. For more information, visit esri.com/lauc. 2013 Esri EMEAUC—How Is GIS Transforming the Planet? 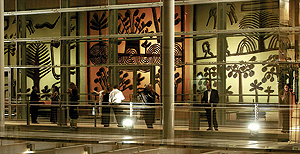 Organized by Esri Deutschland GmbH, the Esri Europe, Middle East, and Africa User Conference (EMEAUC) took place October 23–25 in the International Congress Centre in Munich, Germany. This event attracted more than 2,000 attendees from 70 countries. The main message of the conference was how GIS is evolving into web GIS and is leveraging the cloud and big data to transform our world. The first conference day started with Expert Round Tables about energy and infrastructure, land use and environmental protection, e-government and open data, smart cities, national security, and outreach. Experts from all over the world discussed solutions, current applications, and future challenges. In the afternoon, the Opening Plenary Session included a welcome and introduction by Gerd Buziek and Peter Ladstätter of Esri Deutschland GmbH, a presentation by Jack Dangermond on "GIS—Transforming Our World," a technical demonstration by the Hamburg Port Authority about real-time GIS, and keynote speaker Felix Finkbeiner on his initiative "Plant for the Planet." Keynote speaker Prof. Franz Josef Radermacher talked about "Globalization Sustainability Future—Balance or Destruction," and the third keynote by Mojib Latif was entitled "The Challenge of Long-Term Climate Change." Over three days, Esri staff, customers, and partners presented more than 130 industry tracks and technical workshops. The 2014 Esri Middle East and Africa User Conference, hosted by Esri official distributor Openware, will be held in Kuwait City, Kuwait, October 20–22. Further information is available at esri.com/meauc. The 2014 Esri European User Conference, hosted by Esri official distributor GDi GISDATA, will be held in Split, Croatia, October 13–15. For more information, visit esri.com/euc. A three-day celebration of all things GIS, the Esri Asia Pacific User Conference (APUC)—hosted by Esri South Asia (Esri Singapore)—was an opportunity for more than 500 of the region's users to gather, collaborate, and share their knowledge and experiences with GIS technology at the Suntec Singapore International Convention and Exhibition Centre. In line with the APUC theme—"Asia in Transformation"—Singapore Land Authority (SLA) chief executive Mr. Vincent Hoong delivered the opening keynote speech, providing a glimpse into how fundamental GIS technology has spread across all facets of the work the SLA undertakes. APUC also provided a look at the role of spatial technology in the realms of academia, including a presentation on the world's latest education phenomenon: Massive Open Online Courses (MOOC). Dr. Anthony Robinson from Pennsylvania State University spoke on a MOOC called Maps and the Geospatial Revolution, through which he taught geospatial skills to more than 48,000 students from over 150 countries simultaneously. Another popular presentation came from the Earth Observatory of Singapore, with Research Associate Humza Akhtar delivering a presentation showcasing GeoTouch—a giant interactive touch screen powered by GIS technology. Finally, the event provided a fascinating glimpse into the latest technological advances, with Jack Dangermond giving attendees a sneak peek at what's coming in ArcGIS 11 and the technology's future role in our lives. 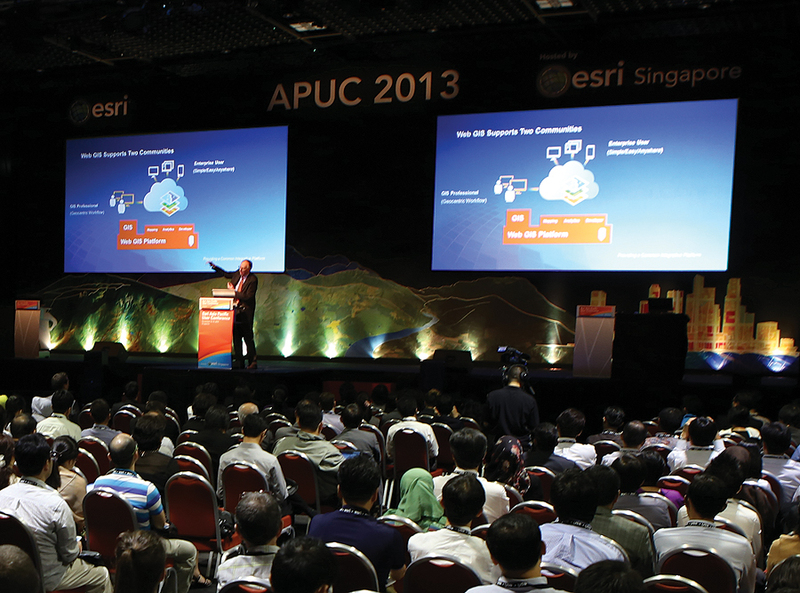 The 2014 Asia Pacific User Conference will be held in Hong Kong and will be hosted by Esri China (Hong Kong). More information is available at esri.com/apuc. Coverage of the regional UCs wouldn't be complete without a preview of Esri's first-ever all-Africa conference scheduled for next spring in Cape Town. 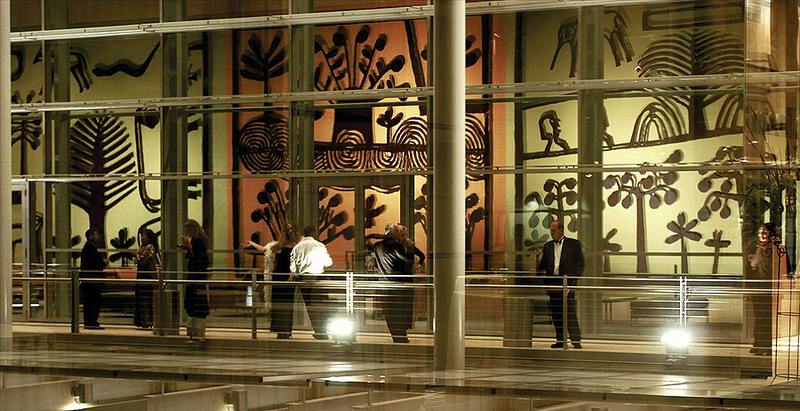 Tech-savvy GIS users, technical experts, and decision makers from across Africa and beyond will converge in the Cape Town International Convention Centre May 6–8 for the 2014 Esri Africa User Conference (AUC). Nearly 1,000 registered attendees will participate in several days of seminars, technical workshops, and demonstrations led by top Esri experts. They will learn the latest GIS skills and important industry issues that will enable them to function more productively on their GIS projects in their organizations and communities. "It will be the first-ever Esri Africa User Conference—it's San Diego comes to Cape Town!" observes Lauren Sweidan, spokesperson for Esri South Africa, which is hosting the event. In addition, users can attend paper presentations by peers who will share GIS success stories and techniques. Registered attendees are encouraged to submit abstracts of their papers for consideration, Sweidan says. The Call for Papers includes topics such as industries, government, resources, utilities, education, aid and development, mapping, SDI, agriculture, mining, forestry, planning, oil and gas, electricity/water/wastewater, and health. Visit esri.com/auc for more information on the Call for Papers and how to register for this major regional GIS event.